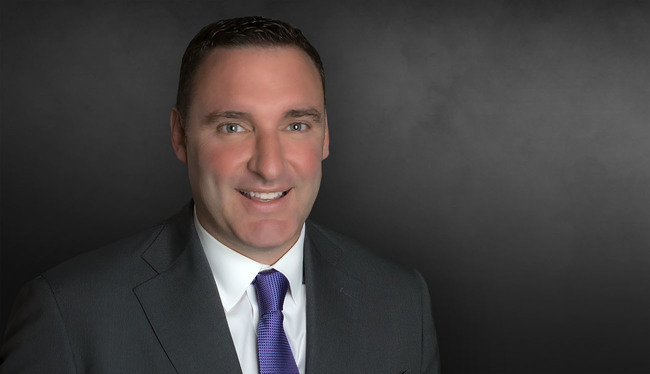 Shane O'Neill was one of 20 lawyers in Georgia, under the age of 40, named to ALM Daily Report's "On the Rise" list for 2018. His practice focuses on commercial, complex tort, product liability, premises liability and transportation litigation, with an emphasis on representing clients in the automotive, consumer products, firearms, sporting goods, real estate, childhood products and trucking industries. He has litigated high-exposure cases in federal and state courts involving commercial loss, serious injury and wrongful death throughout the United States. He has successfully tried multiple cases to verdict. Shane has been recognized for his litigation skills, strategy development and business acumen by Super Lawyers® and other publications. Serves on “Core Counsel” team for a global shipping and logistics company for tort and personal injury litigation in the United States. Serves on National Coordinating Counsel team for Mercedes-Benz USA, LLC as National Discovery Coordinator for consumer warranty litigation across United States. Trial counsel for a firearm manufacturer and distributor in multiple product liability actions. Successfully defended a lifeguard company in the defense of a wrongful death action involving a minor child. Counsel for a luxury casino in the successful prosecution of a $70 million loss involving construction defect and engineering design claims. Trial counsel for a global shipping and logistics company in the successful defense of a three-week wrongful death trial in Florida in which Plaintiff’s counsel pre-trial demand was $50 million. Trial counsel for a commercial truck warranty company in the successful defense of Plaintiff’s breach of contract and bad faith claims in Oklahoma. Counsel for a pipeline owner in the successful defense of wrongful death and personal injury claims arising from a pipeline explosion; cases litigated in Texas, Louisiana and Mississippi. Outside counsel for multiple children products manufacturers. Outside counsel for software development company. Outside counsel for publishing and marketing company. Defense of manufacturers, distributors and suppliers in catastrophic tort and product liability litigation throughout the United States. Prosecution and defense of complex commercial litigation matters. Prosecution and defense of high-exposure construction litigation and subrogation matters. Represents individuals and business and intellectual property litigation. Defense of manufacturers, distributors and suppliers in toxic tort litigation throughout the United States. "Litigating 'Invisible' Injuries: The Defense of Mild Traumatic Brain Injury Claims," Inside Medical Liability (Fourth Quarter, 2018). Co-author. Juvenile Products Manufacturers' Association 50 State Compedium - Georgia portion, (2013). Co-author. "Litigation Alert: Cell Phones as Carcinogens," (National Product Liability Association's Brief) (Australia)(September 2012). Co-author. “Compliance with Regulations Does Not Shield Manufacturers from Liability,” SGMA In Brief (May 23, 2012). Co-author. “Litigation Alert: Cell Phones as Carcinogens,” Defense Research Institute’s The Voice, Vol. 11, Issue 18 (May 9, 2012). Co-author. “Exercising Caution After the Big Verdict in Barnhard v. Cybex International, Inc.,” SGMA In Brief (Jan. 4, 2012). Co-author. “Traumatic Brain Injury Litigation: Update and Insights on Trends, Exposure, Damages and Strategy,” Claims Litigation Management Annual Conference (2018). "Pay Attention! The Changing Nature of Walking and Driving," Claims and Litigation Management Alliance Chicago Chapter Meeting (2016).